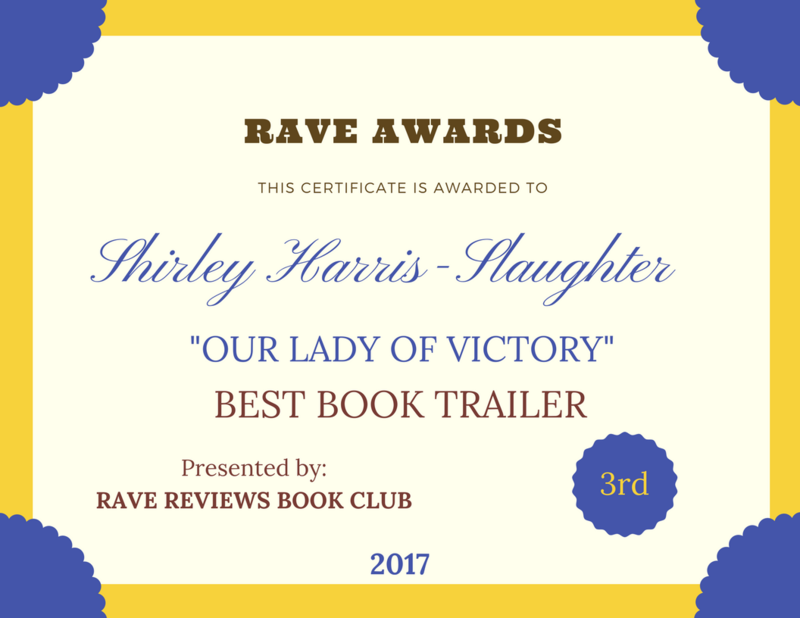 THIRD STOP ON THE BLOG TOUR – INTRODUCING SHIRLEY HARRIS-SLAUGHTER | Our Lady of Victory Remembered! This blog tour is basically about me introducing myself to all of you and what motivated me to write. My name is Shirley Harris-Slaughter. I was born in the great state of Michigan and raised in the Charter Township of Royal Oak. I spent most of my time dreaming of the day when I could get out and start my life elsewhere. Then I discovered we were a historical community founded by a runaway slave on the “underground railroad.” I began to appreciate my roots. I discovered all this history way before ever thinking about writing. My mother was a gifted poet and writer of children’s stories. She also was a great speaker. So what in the world could I contribute to this family? My parents were activists in the community and I watched them not realizing they were shaping me. I became a community activist before I started to write and I developed an appreciation for historical places and buildings which led me to try and save our local train station. I wrote a thesis on The Implementation of the Most Comprehensive Approach to Restoring the Michigan Central Depot. This project brought lots of attention and publicity to this neglected historical site. All of this led me to try and capture the history of our Catholic Community which is now gone. So I wrote about my experience growing up in this environment. 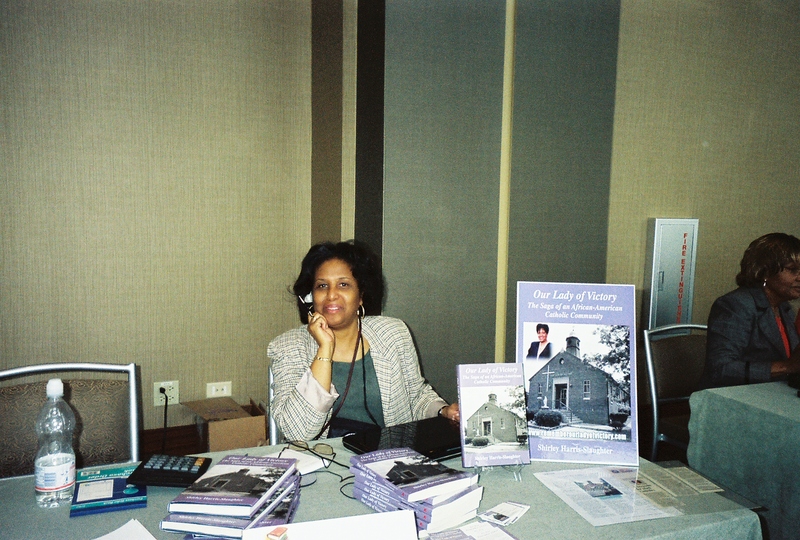 I titled the book, Our Lady of Victory, the Saga of an African-American Catholic Community. The title kind of stuck although my intention was to change it. This book had been gathering steam in my head for a long time before I actually set down to write. I felt that our history was gone because the church has merged and the school was razed after sitting empty for years and becoming an eyesore. I was invited to speak about this to the Fred Hart Williams Geneological Society affiliated with the Detroit Public Library’s Burton Historical Collections. Mark Bowden tagged the book a Narrative History. They asked me to speak to them because they never had history told in narrative form before. Geneology is normally written in a chronological order. This history is who I am. I’m going to stop right here and allow you to get the rest of the story. Severing ties with publisher iUniverse left me with some leftover hardcover limited edition copies. Once they are gone, that is it. For each comment left (1 per day) on each day of my tour, your name will be entered into a drawing. ONE (1) lucky winner will receive an autographed copy of my book “OUR LADY OF VICTORY: THE SAGA OF AN AFRICAN-AMERICAN CATHOLIC COMMUNITY” and a $5 Amazon Gift Card. 1 daily comment = 1 entry into my giveaway. Thanks again for the support and good luck in winning!!! This entry was posted in Blog Tour, Host and tagged Fred Hart Williams Geneological Society, Our Lady of Victory, Royal Oak Township on December 2, 2013 by Shirley Harris-Slaughter. Love the tour so far, Shirley! Keep up the good work! I love hearing about historical stories, especially when the author has a tie to that history. I am loving each blog more and more! The goal is to always share some of the standard at each stop but then to enhance it with a little of the new on the information side. You’re doing a great job! Looking forward to the next stop!